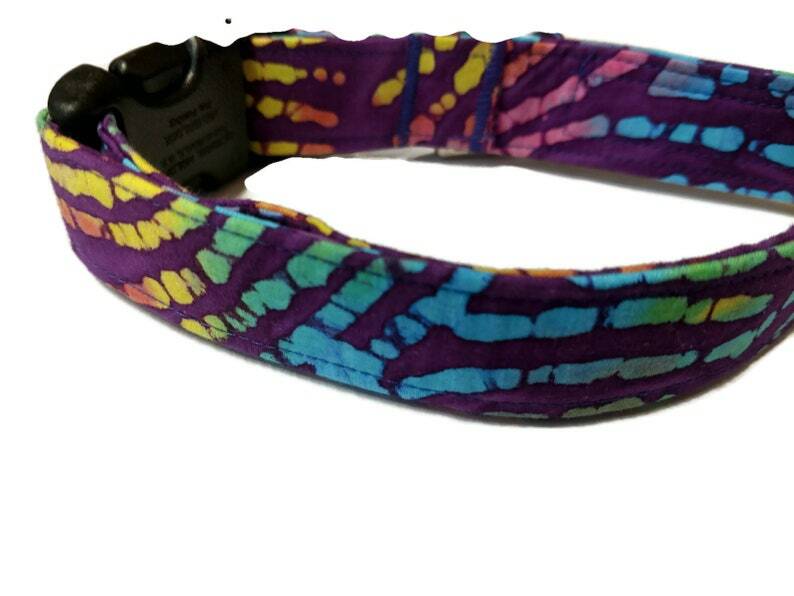 Let your critter be the coolest one around, with this colorful collar. Each collar is constructed using top quality hardware, sturdy (not stiff) interfacing and cotton fabrics. The curved side release buckles are used to hug, not irritate, your dogs neck. The collar has a heavy duty D ring. Beautiful colors, outstanding construction, and great price. Shipping was speedy. I am recommending this shop to all my friends who are dog people.